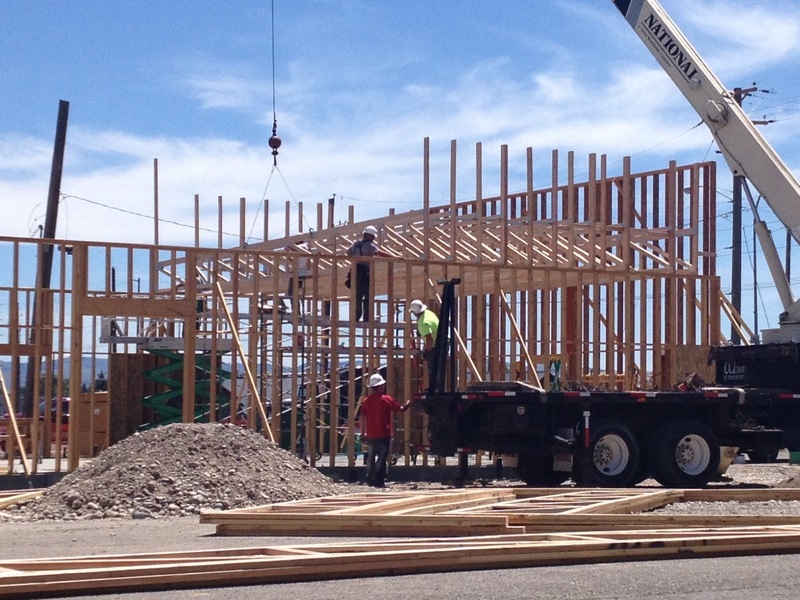 The framing has been fast and furious for the new Carl's Jr. restaurant at 805 W. Broadway. 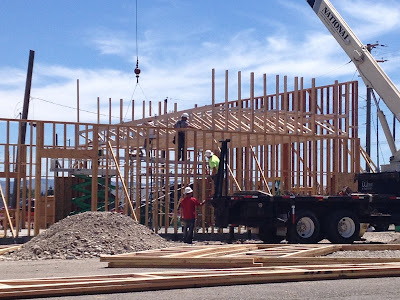 The Carl's Jr. restaurant at 805 W. Broadway, the third in Idaho Falls, is scheduled to be finished and open in mid- to late September, a representative of Construction Solutions Co., the project contractor, said Monday. This is in line with the 120-day construction schedule the parent company, CKE Restaurants, allots for new restaurants. The city of Idaho Falls Engineering Department issued a building permit May 15 for the project. The plans called for a 3,177-square-foot restaurant and surrounding landscaping and parking. Ever since the first two Carl's Jr. restaurants were built in Idaho Falls, in 2011 and 2012, there hadbeen rumblings that a third was being planned on the site where Arctic Circle was. CKE, which also owns Hardee's, has 14 restaurants in Idaho.